What would be a better gift from parents to their children than teaching them that they are the deliberate creators of their lives? Teaching the law of attraction to kids is a very wise decision because the methods that we use to manifest our desires like creative visualization is readily learned and easily applied by kids in comparison to adults because they have a mind which soaks new information quickly, especially when it is delivered by someone they trust. Kids love play and fun approach for learning and this is what makes LOA more effective for them because they can “let go” more easily than adults. The early childhood in a person’s life plays a very important role in deciding his/her future, what a person becomes in his adult life highly depends on the set of ideas and beliefs that were imposed upon him when he was a kid so, by teaching the art of deliberate creation to children we are sowing the seeds in their minds which will give them a better control over their lives. Rather than telling kids to chase their desires, we should first teach them about the power of their intention and how it affects the manifestation process. There is a huge difference between running behind things and going with the flow,the first one reflects the lack of something whereas the latter one depicts the power of intention coupled with a strong faith in the working of laws of universe. When a person learns to go with the flow, he allows his desires to get manifested with ease and this trait is easier for kids to acquire. The purpose behind using creative visualization is to bring a feeling of having what you intend in your life rather than just thinking about any future reference point where you think that your wish will be fulfilled. Practicing bringing the feelings of having what you want gives you the satisfaction in the present moment which in turn attracts the situations which will make you feel even more satisfied. However, adults find it very difficult to enjoy their imagination because they carry a very strong sense of lack; on the other hand creative visualization for children is a very easy task because they naturally use this mental faculty of theirs without being too much concerned about the outcome. Visualization is a very essential tool for the personal development of kids and I believe that every parent must promote their kids to make use of it. For grownups detachment is the most difficult part in the whole process of deliberate creation because they are always too much concerned about the results, but kids have the ability to forget about the results and enjoy the process. So, it becomes very easy for kids to learn how to manifest their desires if they are equipped with the principles of the law of attraction properly. Once the results starts to appear it becomes easy for kids to successfully apply these methods repeatedly.With every manifested desire their confidence increases,their beliefs changes and they become better at achieving their goals. 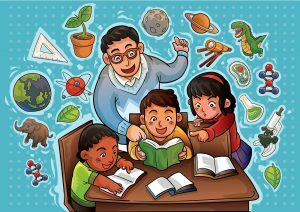 I would like to recommend the program “law of attraction for kids” if you are planning to teach your kids about their creative ability, these set of books will help you to proceed with a proper planning and it will provide you with the exercises and games that is designed for your kid’s personal growth. Mind of Little Kids-Should Children Learn Meditation?